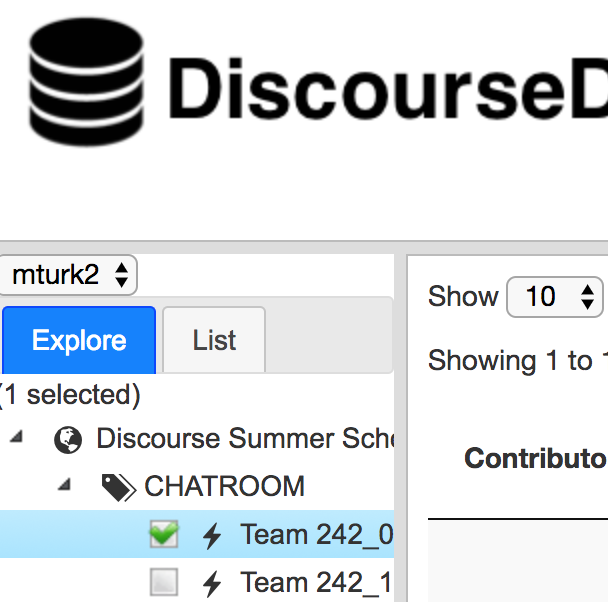 The DiscourseDB data browser allows you to browse the discussions that are part of any of the datasets you have been granted access to. You can choose a dataset in the left panel and navigate through its structure (e.g. 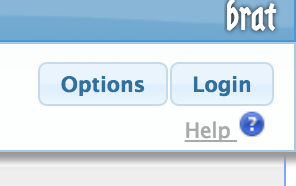 forums, threads, discussion groups), and select multiple conversations you want to see. To analyze these conversations it’s often useful to work through a sample methodically and mark them up to highlight interesting phenomena. For example an education researcher might mark instances of transactive responses to learn more about when students are responding constructively to each other in an online course. No need to save your work! Use the left panel to select a subset of the dataset that you are interested in annotating. Navigate through the hierarchy to conversations you are interested in annotating. Once you are in a conversation, you can move among them with the Next and Previous links at the top of the page. : Select a substring of the header of a contribution in order to label the whole contribution, as shown in the picture below. Our current generation of tools do not work with annotations of particular spans within a contribution, or selections spanning multiple contributions. You are limited to the annotations supplied – if you want a different label, please contact us. A way to choose your own set of labels is coming soon. 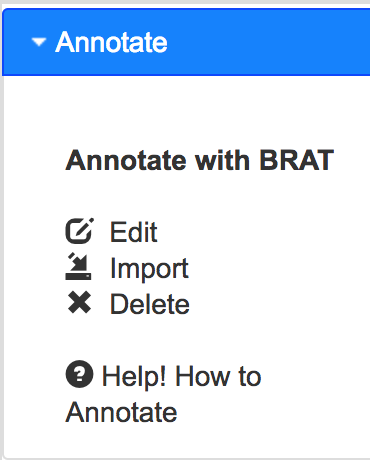 When you are done, just close the Brat window – your annotations are saved as you go.